Siwash rock is one of Stanley Park’s natural landmarks. 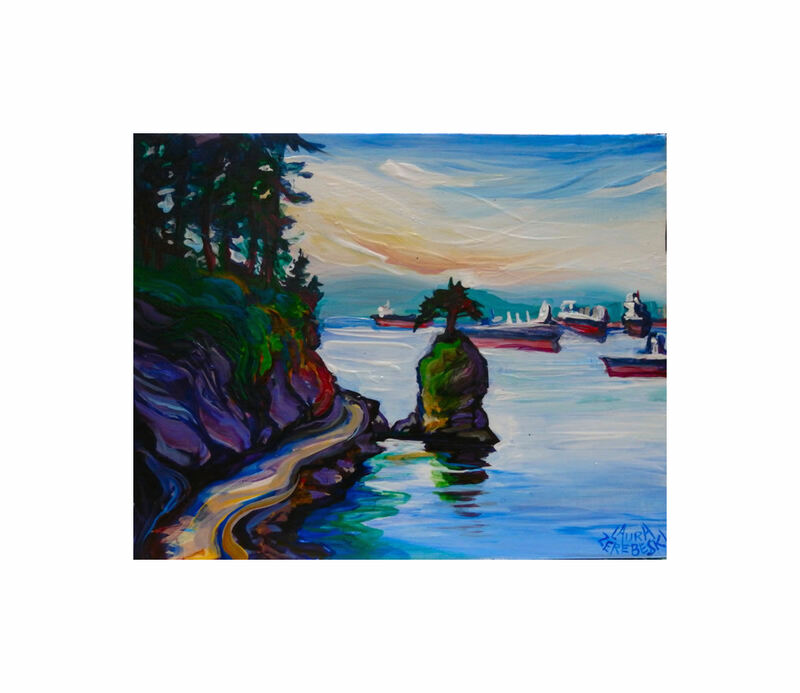 There is an old Squamish nation legend which describes this sea stack as the symbol of a father-to-be who risked defying the gods to purify himself for his child’s birth. Nowadays, English Bay is often filled with tankers queuing for spots in Vancouver’s busy port. Siwash Rock looks like a small child tree who wants to wander off into the dangerous unknown. Do you have any stanley park paintings at your studio? And where is your studio located?